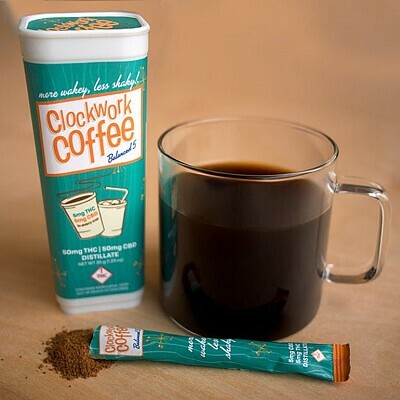 With the perfect balance of caffeine for energy, 5mg of THC distillate for clear-headed creativity and 5mg of CBD to kill jitters, this coffee is more wakey, less shaky. It contains no calories, fat or sugar, and won’t lead to headaches or stress. It’s just bold, smooth, 100 percent Colombian coffee with a Ripple kick.